In a similar manner to my experience of watching World War Z (2013), the trip to see The Wolverine (2013) in 3D left me fairly unexcited. Although no worse than other blockbusters this year in terms of plot and story and although Hugh Jackman delivered a solid performance, it felt as if the 3D left me with nothing to write about. This leaves me with a pretty short post but I do want to frame the film within the context of contemporary 3D post-production conversions. Like X-Men Origins: Wolverine (2009) the film both side steps away from the X-Men films and pre-dates their time frame by beginning with Wolverine’s participation in WWII. The film starts with completely flat images of the Japanese landscape around the prisoner of war camp where Logan, Wolverine, is detained. When the subsequent overhead shots show Logan interned in a cell consisting of a pit dug into the earth, positive parallax depth cues combine with the perspective lines of the pit’s walls to create a claustrophobic enclosure stretching away from the audience. This type of initiate depth is accentuated at a few other points in the film, particularly when close-ups on two characters in the same frame or in a series of closely linked shots use the added roundness of stereoscopy to emphasise the proximity of the characters. Yet apart from this, stereoscopic depth cues are limited or almost entirely absent throughout the film. The nuclear bomb that drops on the camp at the beginning of the film, and the subsequent debris and material that it creates, is contained within fairly conservative visual parameters. Even though there is a battle scene set within falling snow (increasingly ubiquitous in 3D action blockbusters set anywhere near cold landscapes) negative parallax is restrained. Understandably the film was careful not to replay 3D cinema’s clichés by allowing Logan’s metal claws to slash at audience members in the auditorium but it does seem as if it missed the opportunity to create interesting and dynamic visual fields in the auditorium space. 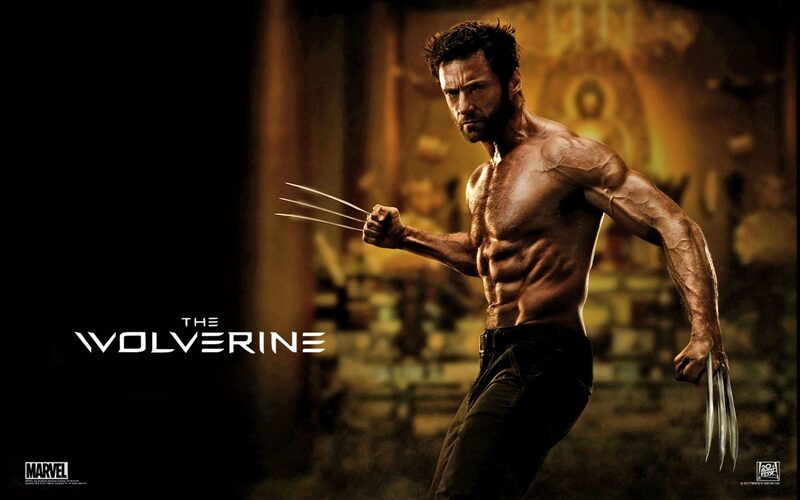 Although I have argued elsewhere that we should take a nuanced approach to understanding 3D conversions and that post-production stereoscopic effects are not necessarily a poor cousin to those shot in ‘native’ 3D, The Wolverine is a good example of a film that seems to have been designed in 2D with 3D added as an afterthought. Even editor Michael McCusker stated that the 3D process should have been integrated at an earlier stage. As an example of the negative effect of planning without 3D in mind, there is a tendency throughout the film to limit focus to either the fore, mid or background which negates the possibility for stereoscopic effects to reveal the depth relations between these planes. In a large number of shots, this focus is shifted mid-shot. While pulling focus is common in contemporary films using extensive shallow depth of field, in a 3D film it creates a strange kinetic sensation of movement in the frame. Considering that the objects in these different planes are relatively static and that the shift in focus between them is meant to act as a type of reveal rather than create visceral motion such as that found in the dolly-zoom, it seems as this effect is an unplanned artefact. The potential for 3D techniques to create new sensations of motion and/or dynamic interplay is something that could be hugely beneficial to certain films (particularly those with non-realist scenes). Nonetheless, new effects like this are likely to be overlooked if they are merely the result of a clash between a film that is designed and constructed for 2D but later updated to include 3D.